Thanks so much for choosing Coastal Life Properties for your home buying and selling needs. 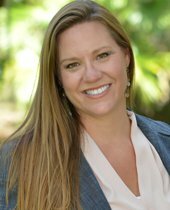 My name is Dayna Healy and I proud to be a part of one of the most amazing real estate brokerages in Brevard County! Get ready to dive into this beautiful place we call home, enjoy the coastal breeze, visit our beaches and have some fun in the home buying/selling experience. I have been blessed to work with the agents of Coastal Life Properties over the last two years, as a photographer and helping to market the latest and best listings in Brevard. Most recently, I joined the staff as a licensed real estate agent. I love working each of my clients to find their own piece of paradise. Prior to real estate, I built a successful photography business capturing families, professionals and most importantly real estate. This experience shaped me as a business owner to provide the best customer service and a rich knowledge of marketing. All the better to serve your real estate needs. A little about me, I am a Central Florida native, born and raised in Longwood, FL. Our family moved to Merritt Island in 2014 for business opportunities and most importantly for Brevard Counties A+ Schools. As a graduate of Elon University and Florida State University, the education and technology found on the Space Coast, was a huge draw to the area. I look forward to helping you and your family in your relocation needs.